Reid L Barney 82 of Springville, Utah, passed away on October 3, 2018 in Payson, Utah. He was born May 26, 1936 to Vird and Verla Barney in Elsinore, Utah. He graduated from South Sevier High School in Monroe, Utah in 1954. 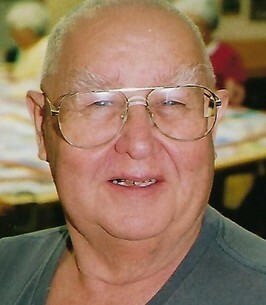 He held a variety of jobs and eventually retired from Geneva Steel after 30 years. He enjoyed woodworking, photography, and raising all types of birds. He married Janean Weaver in 1956, and together they raised six children. Patricia (deceased) (Daniel) Thompson, Roger, Kathleen (Brian) VanAusdal, Quincy (Scott) Bridge, Richard all of Springville and Denise (Jeff) Cope of Alberta, Canada. 14 grandchildren and 24 great grandchildren. Also survived by a brother and a sister. He was preceded in death by a daughter, a grandson, a brother and a sister. To send flowers to the family of Reid L Barney, please visit our Heartfelt Sympathies Store. We encourage you to share any memorable photos or stories about Reid. All tributes placed on and purchased through this memorial website will remain on in perpetuity for future generations.